Safety Manager is a health and security compliance monitoring system from BWARE that enables businesses to stay in tune with the health and safety norms. For ensuring easy remote management of the solution, the company partnered with Root Info Solutions that is an established name when it comes to the top iPhone application development companies to get a mobile app, Responder, designed and developed. Building a safe and healthy workplace is an essential and desirable aspect of running a business. Why is it essential? First, it’s directly proportional to the health and security of your business assets including employees; and second, it helps you stay compliant. Why it’s desirable? The answer is -- a healthy workplace positively affects the productivity of employees and, interestingly, it’s contagious. Safety Manager provides a quick and easy way to plan, execute, track and control health and safety rules and guidelines across a business ecosystem. This helps businesses to reduce risks and simplify work activities. Here is how BWARE is enabling its clients to make a difference in their work environment and business outcomes. The technology adoption makes it easier for end users, that is, businesses to stay in tune with the health and safety guidelines as levied by concerned regulators. The Going with iOS app development, BWARE has made the management of the system easier and faster over a mobile device. 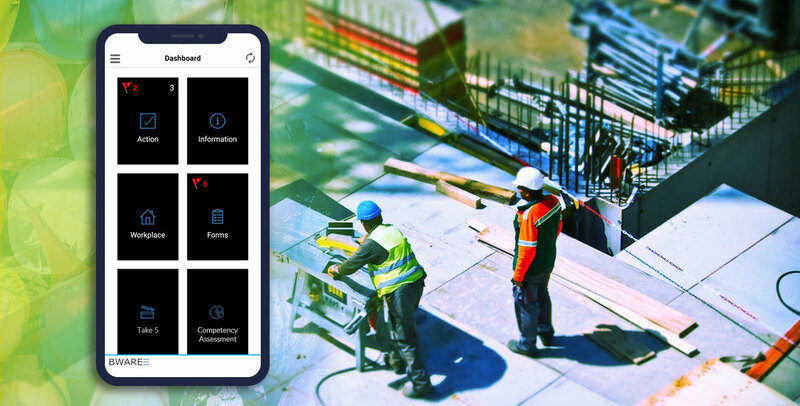 It does provide a messaging platform and voice connectivity so that users can get in touch with their contractors. It generates a holistic report on the health and safety status of the company. It provides an immunity to employees against unpredicted vulnerabilities and risks. So they can work confidently and safely and contribute their best to the business bottom line. The technology adoption holds more significance when employees are involved in dangerous occupations like handling explosive or highly flammable or otherwise dangerous substances. The app has been built utilizing the native iOS resources including iOS SDK, Xcode IDE (Integrated Development Environment) and Swift programming language. The iOS app development was pursued in pursuance of the Agile mobile app development methodology.